When Jeffrey T. Babcock and his older brother Bill set out to climb the highest mountain in North America, Alaska’s 20,320-foot Denali (Mt. McKinley) in 1967, they knew before they reached “The Great One” that they would be tested in a dangerous world of rock, ice, snow and wind where every climber is at risk and may not return. They did stand on top of the continent on a cold and windy day that July, but en route to the summit, their Mountaineering Club of Alaska (MCA) team stared into the eyes of tragedy from an unexpected combination of events. The MCA team was several days behind the twelve-person Wilcox-Snyder Expedition. A class-6 storm suddenly raged over Denali, separating the members into those who were able to retreat and those who were stranded high up on the mountain in the bitter cold blizzard conditions. 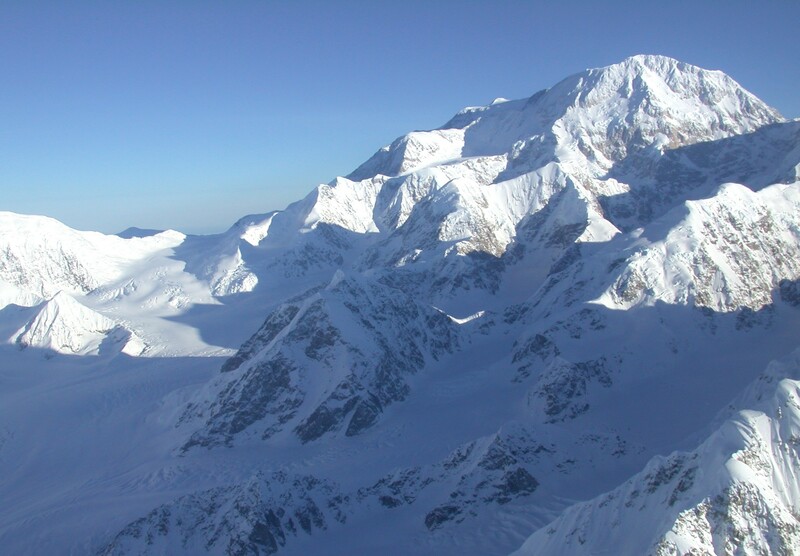 Injured and greatly worried about the other members of their group, the descending Wilcox-Snyder team members met the advancing MCA team, made radio contact with the National Park Service to report their status, and then made their way off Denali. Due to its position on the mountain, the MCA team became the primary rescue group. Jeffrey and Bill Babcock found two of the dead; the others were never found. The death of seven members of the Wilcox-Snyder group in one day has been called North America’s worst mountaineering tragedy. It has also generated a fair amount of controversy as the actions of leaders Joe Wilcox and Howard Snyder and the National Park Service have been scrutinized under multiple microscopes leading to multiple accusations of blame. Jeffrey T. Babcock, who went on to lead other climbing expeditions including another successful summiting of Denali, has spent a lifetime pondering whether or not the MCA team could have accomplished the impossible and saved any of the Wilcox-Snyder climbers. Now, most experts think not. But nobody knew this during the summer of 1967. Babcock has, to the extent it’s possible, come to terms with Denali in 1967 via his “non-fiction novel” Should I Not Return. While the novelization combines real life events from two climbs into protagonist Henry Locke’s coming-of-age climb of Denali on a team led by his brother Johnny, the book’s account of the tragedy and the rescue attempt is based on facts. The result is a compelling and accessible adventure story for a general audience as well as a riveting true-to-life account of a widely known mountaineering event for climbers familiar with techniques, routes and high-altitude weather conditions. Should I Not Return is richly illustrated with photographs from the MCA and other teams as well as sidebars containing historical information about earlier Denali ascents and the climbers involved. While the sidebars are nice time capsules for climbers and others interested in Alaska and its mountains, they can be skipped by those who prefer to stick with Henry and Johnny’s trial by wind and ice. The emotional and practical need for young Henry—whom some of the other characters view as “Johnny’s baby brother”—to prove himself adds impact to the story. While Johnny and the other MCA team members know each other well, Henry is viewed as a neophyte easterner who will more than likely them back or put them at risk. The terror of the story is amplified because readers see events unfold through the eyes of the youngest team member rather than a veteran climber. In addition to their geographical and historical value, the photographs serve the same purpose as the illustrations in adventure novels of an earlier era. For example, when Johnny falls through a snow bridge into a crevasse, an accompanying photograph of a Lower Ice Fall snow bridge on Muldrow Glacier demonstrates for non-climbing readers how precarious Johnny’s situation was. The inhospitable conditions Henry and the others face on that glacier is illustrated by a bleak photograph (by the author) showing just how tiny a man is when he stands next to the sheer walls of Pioneer Ridge. While Babcock’s prose is strong enough to stand on its own, the pictures add greatly to the reading experience. If Should I Not Return were the product of Jeffrey T. Babcock’s imagination, I would recommend it to everyone who loves compelling adventure stories. For mountaineers, the book adds immeasurably to the historical record of Denali from a very capable writer who was first on the scene of a controversial climbing tragedy. Sounds like a heart-gripping, I keep forgetting to breathe kind of book. I’ve added it to my list. You probably have a thousand books on your TBR list, Smoky. Thanks Smoky. I hope you visit my site @ to purchase a copy of my book. Thanks for your interest.